In the mood for a Halloween horror story? Well, did you hear the one about the pumpkin who had its guts tossed in with the rubbish after its head was sliced off..? If you’ve ever perpetrated such a heinous act yourself, you’re missing a trick treat. Why? 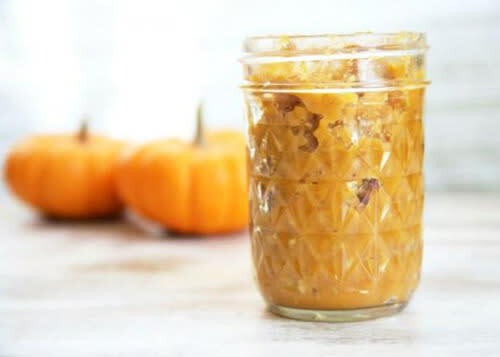 Because, according to the International Dermal Institute, pumpkin flesh is packed with nutrients capable of nourishing, brightening, smoothing and protecting human flesh. Not only can it boost collagen production and stave off the signs of ageing, but stop spots in their tracks and see off dull hair and flaky scalps, too. 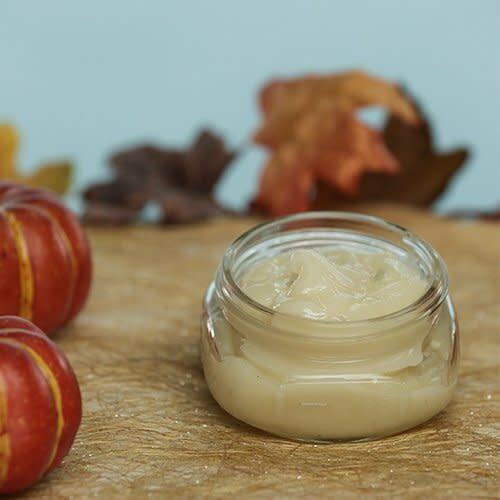 Believe it or not, pumpkin flesh exfoliates, hydrates and protects - all at the same time. Whilst its essential fatty acids deliver a hydration boost, vitamins A and C get to work on those ageing free radicals and alpha hydroxy acids boost cell turnover, revealing a brighter, more radiant you. What more could you ask for in a face mask, eh? Find out how to make your own at Hello Glow. 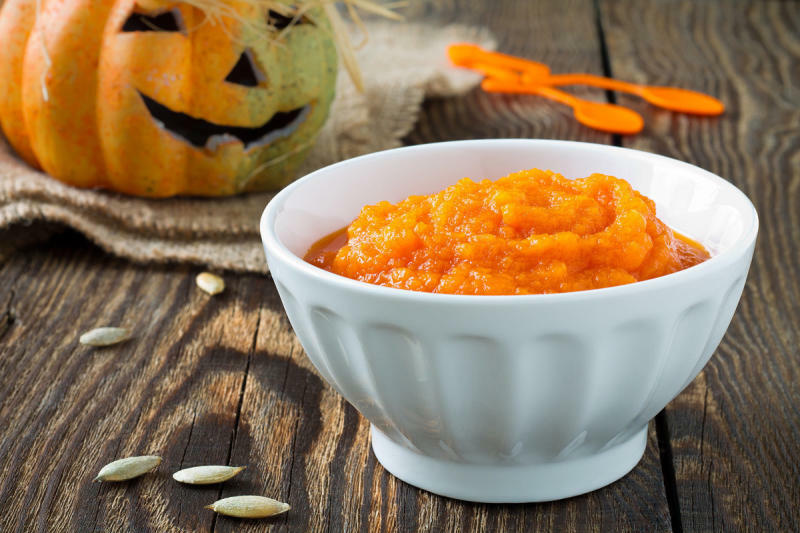 Make the most of those exfoliating alpha hydroxy acids by mixing a few tablespoons of cooked and mashed (or pureed) pumpkin with a couple of tablespoons of natural yoghurt (packed with exfoliating lactic acid) and a tablespoon of ground oats or almonds. Allow the mixture to sit on your face for a few minutes before gently massaging in small circles and rinsing with warm water. 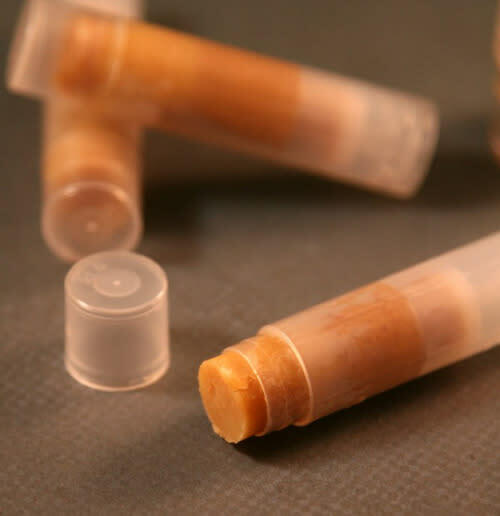 Get your pumpkin spice fix minus the calories - and make much better use of its hydrating pout-perfecting powers - by turning it into lip balm. Find out how at Saved By Grace. N.B. Pumpkin pie spice is a combination of cinnamon, ginger, nutmeg and allspice - make your own or buy a pre-mixed version. 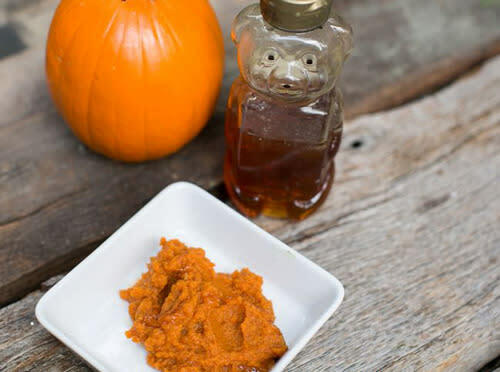 Those skin-loving nutrients work just as well below the jawline, too… Mix equal quantities of pumpkin puree and brown sugar and you’ve got yourself an uber-effective, environmentally friendly body scrub. Find out how at POPSUGAR. Who says masks are just for your face? 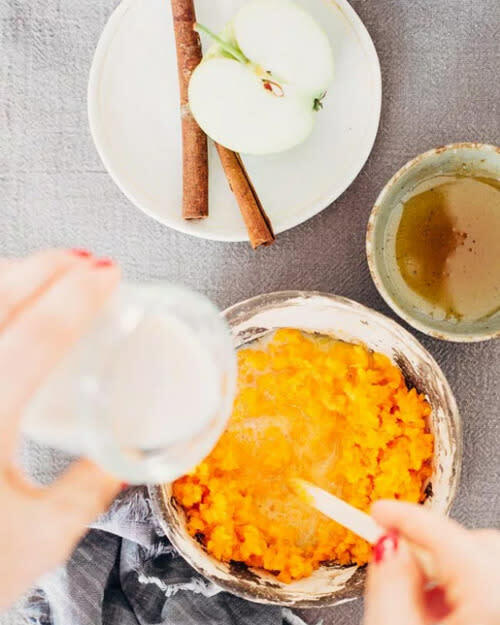 Mix 100ml pumpkin puree with 100ml cold-pressed virgin coconut oil and a teaspoon of antioxidant-rich cinnamon for a nourishing post-shower treat. Allow to sink in for 10 minutes before rinsing off. More of a multitasker when it comes to skincare? Swerve the pre-packaged ‘in-shower lotions’ and harness the natural powers of the humble pumpkin, instead. Combine equal parts pumpkin puree and coconut oil, slather on and rinse off before you towel down. If your attitude toward winter feet is of the ‘cover them up and forget about them’ school, this homemade scrub might just change your mind… Remember, a fortnightly DIY pedi could save you ££ come party season. Find out how to make your own at DIY Fashion. While you wait for your face/body/foot mask to sink in, why not show your locks some love, too? Dry hair? Flaky scalp? A pumpkin mask will hydrate hair and banish pesky dead skin cells. Oil slick? Pumpkin’s zinc content can help to regulate sebum production. Yep, it’s another double win for the orange stuff.